I know y'all loved reading April Lindner's post!!! Her books are amazing, so how could we not have her on here!?! She's been awesome with us. Okay, so today's book was released the day after Christmas! 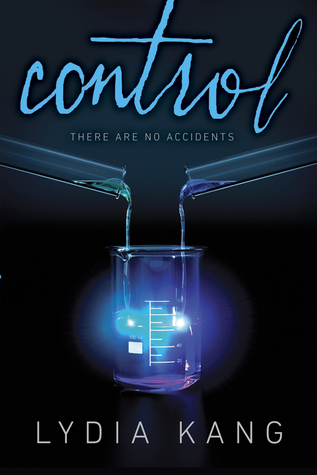 It's called Control (Control #1) by Lydia Kang! Summary: "When a crash kills their father and leaves them orphaned, Zel knows she needs to protect her sister, Dyl. But before Zel has a plan, Dyl is taken by strangers using bizarre sensory weapons, and Zel finds herself in a safe house for teens who aren’t like any she’s ever seen before—teens who shouldn't even exist. Using broken-down technology, her new friends’ peculiar gifts, and her own grit, Zel must find a way to get her sister back from the kidnappers who think a powerful secret is encoded in Dyl’s DNA. The technology and characters were totally unique. The main character and her sister had a close bond, and did with their father as well. I saw only the one-sentence summary "Copyright" page, so I wasn't privy to many facts that are in that summary. I was walking into this one blind. However, the family she develops, and the truths that are found made it worth it. I'm so happy I chose to read this! Kang is a great writer that gets you into the novel, invested in the characters, and also be laughing at things said. The plot is unique, and the ending was good! In Conclusion: Read away, especially if you're into this genre!! !